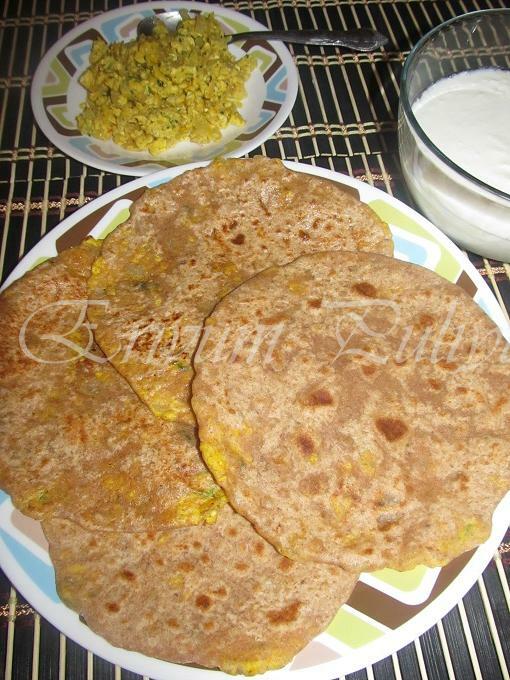 wow...lovely paratha with healthy n yummy filling...looks perfect n inviting!! Nice idea Julie, never tried parathas with an egg filling, should have tasted great rt..
That is an interesting recipe..I have some wholewheat flour (from Indian grocer), and I'll give it a go! Julie! 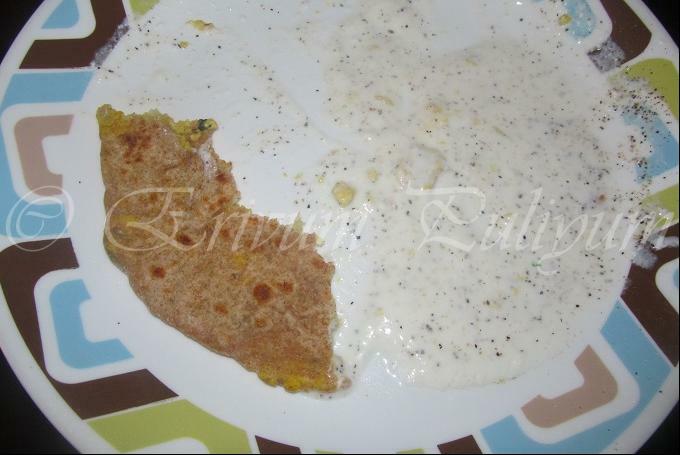 your hubby's plate 'flash flood' wahahahaha..paratha sounds lovely for breakfast one of my choice. This is a nutritious and delicious lunch box item! Thanks for sharing! These egg parathas look very soft with lots of egg-y flavours. They all look so delicious. I make the egg as a side dish. Never tried stuffing it though. Nice one.. Loved this. Even I make egg parathas, but in a different way. Its really nice receipt exceptionally and lovely Look. Thanks For Sharing this information is useful for all. Wow! What an awesome idea, looks fantastic! 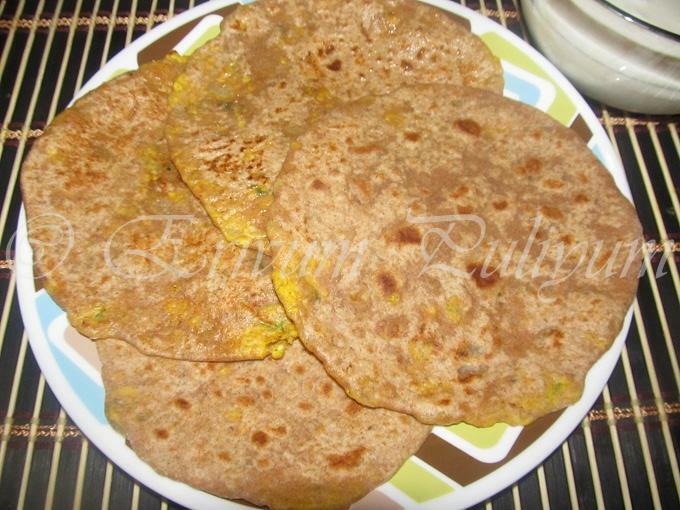 wow..never though of making this paratha before.its really a wonderful idea dear...nice one. hey julie,tried ur fish biriyani and loved it! The parathas look good....a complete meal! Wow this is specially tasty. I never tried using this kind of filling generally used boiled eggs. But this one will taste better. Thanks. hey julie tat was a gr8 idea... sure looks good. 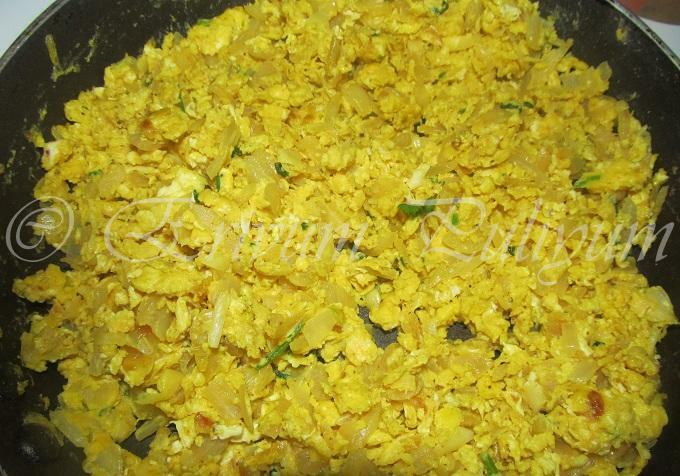 ususally love scrambled egg curry with rotis. If you make the combo into a paratha - thats irresistible! That's an innovative paratha. Healthy and filling.Undoubtedly your kids loved it!! Paratha looks lovely... very appetizing. Am a scrambled egg fan. I would love to have some of that..! @ramya Thanx Ramya for trying the fish biriyani & am happy that you liked it!! Very creative variation.Luvly Egg Parathas. Will try it soon. 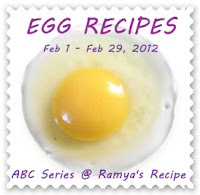 thats one interesting paratha recipe...I have never tried it with egg...bookmarked! !